The best web-to-print company is the one that produces work that most closely relates to what you need. All services are different, so you need to make sure that you know what you want before committing to a company. Green Printer defines each of the services below as the most important when choosing the best printing provider for your business. The turnaround time on a web-to-print service is the first place you need to look. The company that works slowly may put out great work, but that work is useless if it never comes in on-time. You should always ask what the expected turnaround time for your specific products will be. If you have a good relationship with a business, you are more likely to enjoy working with them. When you are not getting quality customer service from a printing firm, you will not care what the final product looks like. If a business is making you wish the job was over so you do not have to work with them, you need to go elsewhere. Any company that offers online design features is one you should look at closely. When you get to complete your own design online without waiting, you can get the jobs done much quicker. Also, online design gives you a perspective you may not have had when you began looking for services to complete your printing. It is very difficult to determine what your end product will look like based on online photographs. Ideally, you will be able to see physical samples of what the printing company can create for you. This will allow you to determine if the quality of the products are at par with your expectations or if you should shop elsewhere. It is always better to be safe than sorry. As discussed in earlier posts, most printing companies do not offer environmentally friendly alternatives. Your business could greatly benefit from providing your customers with eco-friendly marketing collateral. This gives you the competitive advantage of being a responsible corporate. Direct mailing campaigns allow you to send marketing campaigns out to a large audience of individuals at one time. However, you don’t want to simply litter the area with mailings; you want to garner responses from the public by boldly and proudly display important information. Green Printer highlights the following five elements as crucial for a successful direct mail campaign. While these details seem obvious, some campaigns obscure this important information. Interested parties should be able to quickly spot the name of your company as well as a phone number, email address and physical address. This information makes it easier for potential customers to come visit your shop or to send you questions as soon as possible. You need to decide what the focus of this particular marketing campaign. Whether you want to let individuals know about a new product that is coming up or promotional item that you’ll be offering at an upcoming sale. Don’t go on and on with this promotional message; make it short and sweet. This will help in obtaining the desired attention of your target audience members and hold their gaze. The logo or symbol is an important part of the direct mail campaign because it is how people will identify your company. When they are walking down the street past your store or browsing through another circular, they will connect your logo with the products and goods that you offer and the service they received at your last promotion or sale. If you do not include information on how to redeem the promotion in a clear spot on the direct mailing campaign, then your customers are not going to take the time to look around for it. Also, do not hide details that the public needs to know. For example, if they need to buy items that equal a certain value to qualify for the promotion, let them know before they come to the store. Paper has been a part of the human culture for generations since the Chinese invented it in 105 AD. Paper became a highly demanded commodity in 1453 with the invention of the printing press. The materials used to create it included linen and old cotton. These soon fell out of style as there were not enough raw materials to sustain the growing demand. It was not until 1719 that paper was first made out of wood pulp. Then, with the invention of a machine that created sheets of paper in 1806, modern paper-making finally came into existence. 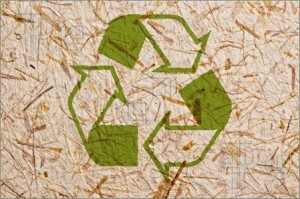 Being unsatisfied with the constant need to abuse natural resources, a recycled paper making process was created. The following steps is how Green Printer describes this process. Clean paper (free from food and other contaminates) is collected by a recycling company and transported to the local recycling center. Once there, the paper is sorted, wrapped tightly in large bales, and shipped to a paper mill where it can be processed and turned into new paper. When it arrives, the paper is sorted into stacks of the types of things in can make (such as cardboard or newspaper). When it is time to process the paper, it is loaded onto a conveyor belt that moves it to a machine known as a pulper. This pulper cuts the paper into tiny pieces, mixes it with a combination of water and chemicals, and heats the mixture in order to break down the solid matter into bits known as fiber. This mixture is called pulp. The pulp is filtered through screens to remove tiny bits of contaminants like glue. Now that pulp is fully processed, the recycling center washes or deinks the paper. This generally involves spinning the pulp in a cylinder to separate out staples and other debris. The pulp is then rinsed with water to wash out the final pieces of unwanted material. Final refinement happens when the pulp undergoes beating to cause the fibers to swell, making them ideal for the final step in making paper. If the paper needs to be white or colored, the bleach or dye is added during this step. The now clean pulp mixture is sprayed onto a large screen and moved through machines that press out all water, leaving nothing but new sheets of recycled paper. Postcards are the perfect marketing tool. This is especially true when you use high quality and eco-friendly postcards as the ones offered by Green Printer. Using postcards to invite guests to a branding event is better than simply using social media. If you have a well-targeted mailing list you will go far. 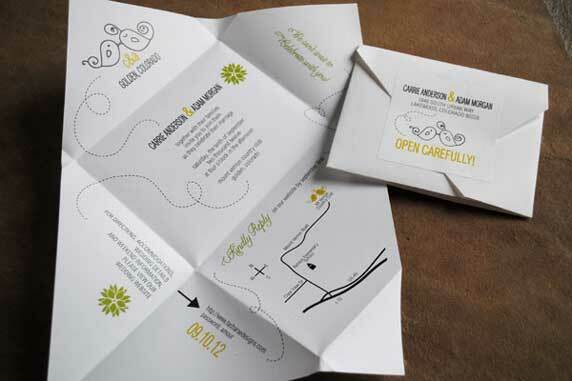 So, here are ten reasons why postcards are perfect for inviting people to a branding event. 1. 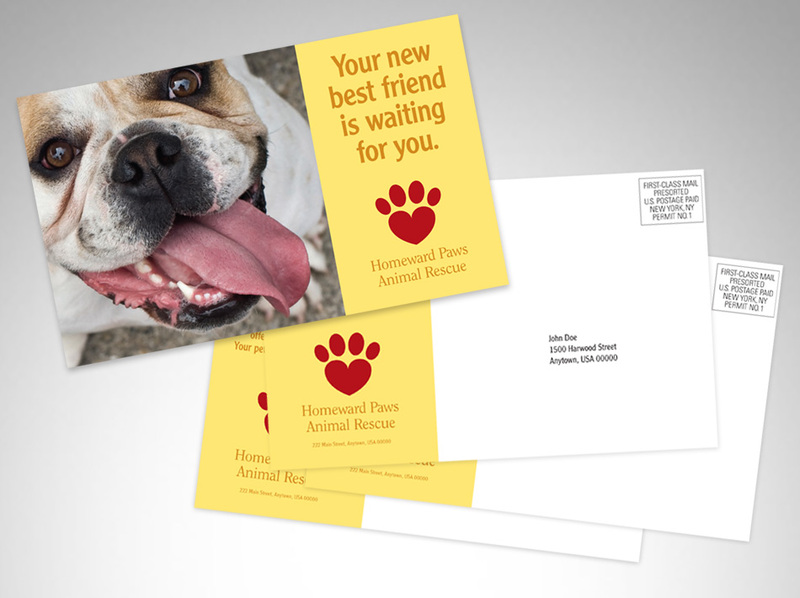 If you turn your postcard into a response card you could also get your customers to refer friends. This can potentially double your clientele for the price of one client acquisition. 2. 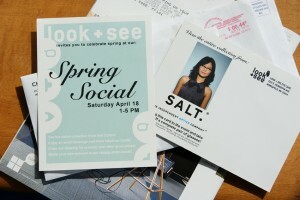 Let’s say your brand event is a charity drive, postcards are able to encourage customers to drop by. You can market your event by giving them a per-donation discount. 3. On your invitation you can include featured products. You can also include coupons which will entice customers to make a purchase at the event. 4. You can send postcards with VIP access to your branding event. This way your clients feel special and more inclined to show up to the event. 5. You can handout these postcards at physical locations that social media could otherwise not reach. Some of these places include grocery stores, book clubs, restaurants, and others. 6. If you mail out postcards, most people will probably stick them on their refrigerators. This creates repetition and serves as a reminder of your brand every time they go to the kitchen. 7. Sending postcards is a way to stand out. As most brands use social media, your brand will create a more personal bond with clients, which will make customers flock to you. 8. Nothing helps you stay in touch better than postcard marketing. In fact, for each event, you can send a postcard to past customers to let them know you’re thinking of them. 9. While you’re inviting prospective clients to your branding event, you can introduce new services or products at the same time. This is one of the reasons the postcard is so versatile. 10. Finally, postcards are the best way to generate leads and target accounts for your business. You’ll find you get more business than you ever did with social media. Operating a small business is not always the easiest thing to do. However, with the right tools, you’ll do great. Postcards are the one marketing tool that will set you aside from the rest. Branding is a key element to succeeding in today’s business world. This is true for both corporate and personal brands. A recognizable brand helps build business and create interest in your company. However, this is not an easy task to accomplish. Branding requires dedication and patience. There are several online tools that can be used to reach your target audience and develop a strong brand imagine. Having said that, it is important to keep in mind the fact that most brands are trying to gain online attention which fills online tools with noisy. This makes it difficult to reach your desired target audience seeing as they are always bombarded with messages from many different sources. So how can your brand stand out? Green Printer explored some of the most affordable offline tools available to growing organizations that are looking to gain market presence. One popular way is a postcard. Everyone gets their mail Monday through Saturday and what better way to get your company out there than by making cool and creative postcards. They need to be attention grabbing and they need to make an impact. You need to make sure it is not just something that can be thrown away, dismissed, or overlooked. It needs to be flashy and it needs to make a positive impression on the consumer. The more creative you get, the better. Other ideas include bookmarks and greeting cards.Most people read it and what better way to get their attention than with a bookmark. This way, every time they are reading and looking at their book, they will be reminded of your company. That is the ultimate goal at the end of the day, isn’t it? You want to be on someone’s radar and you want to garner someone’s attention. You don’t want to beat them over the head with your ideas and your brand but you want to stick out. This is also done with greeting cards which send a warm message and just make people feel good. The main goal when implementing a branding strategy is to be creative and think outside the box. Social media and other online tools are beneficial but not everything. It is crucial to use offline tools to get past the noise of online branding. Turnaround: Digital printing is better for meeting strict deadlines. This type of printing is considerably faster than offset. Offset printing typically takes more time as a result of set up and plate creation. Quantity: Small or medium sized runs are better suited for digital printing. Longer runs that require high quantity are best suited for offset printing. Proofing: Setting up a proof for an offset printing run can be expensive. However, digital printing only requires one sheet that is prepared beforehand. This process is easily duplicated after approval. Color Matching: Digital and Offset presses generate similar results when using CMYK. However, SPOT colors or Pantone is preferable to offset presses. Offsets uses liquid color ink which provides more accurate matching. Paper Selection: Digital printing can top out at 350 GSM. Offset printing, on the other hand, can include heavier stock. 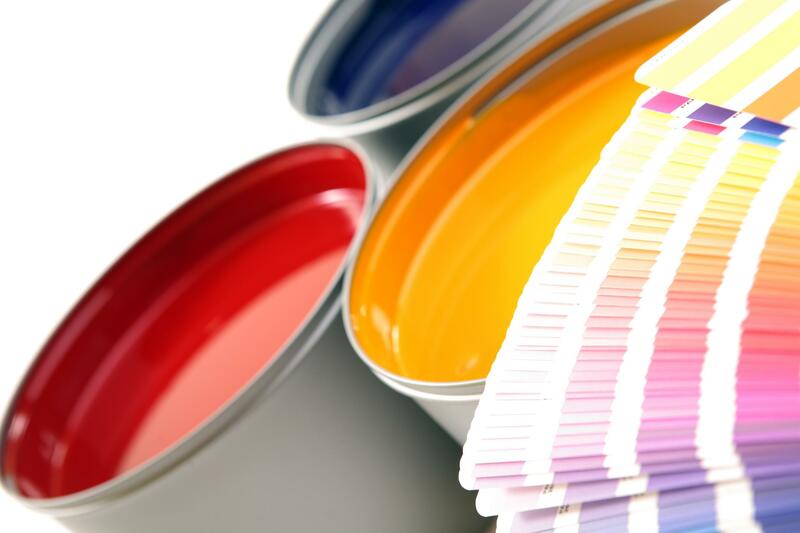 Offset printing includes more substrates and larger sized sheet selections. There are many details involved when building a brand. Surprisingly, choosing the right font is a great opportunity for your brand to differentiate itself from its competitors. 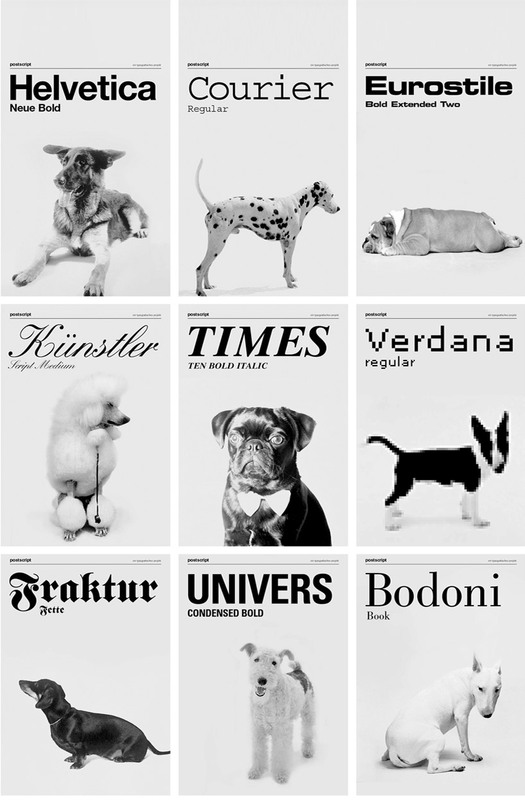 The right font is more than just a typeface. Some styles are easier to read while others capture and engage the audience from the onset. The aim when building a brand is to create a coherent image which is often referred to as a logo. This starts with the font chosen to represent the business. The last thing you want is to lose a potential customer because of a hard-to-read website or a logo that sends a confusing message. Identify the message your brand stands for. If you have a mission statement, consult it when considering the following steps. First, take a look at the services you are providing or the products you offer. Now, consider what you want your particular target audience to feel when they read your website or see your logo. You may be going for a strictly professional image, so the font should be professional, crisp and clear. On the other hand, if you are a child-centered, or otherwise playful brand, the typeface you use should be looser and more fun. There are numerous fonts available. You may be surprised to see all the options, but if you are a start-up organization, food centered, or artistic brand, then it is a good idea to go over all the options. 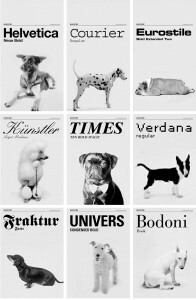 Whimsical fonts can be just what you are looking for. Tech companies should look for sleek fonts in general, while a florist can get away with a flourishes. The traditional typefaces are ideal to use when you are building a brand that revolves around a finances or tax services. These may not be one of the new fonts on the market, but they will give off a feeling that your brand can be trusted. Before deciding upon a particular font, check it’s legibility at various sizes. If a font is hard to decipher when printed on a pen, read on a smartphone, or blown up on a billboard, then it is not your best choice. This is a critical step prior to printing your marketing collateral. 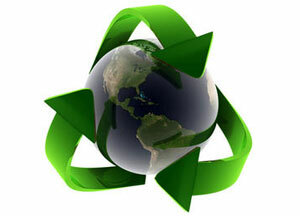 Organizations that adopt eco-friendly business practices are highly valued in today’s society. Many companies enforce different activities to highlight their desire to be green. Although this is a great step forward, most businesses are unaware of the actual impact of their changes. To address this issue, Green Printer uses an EcoCalculator. This tool measures the impact that every green order has on the environment. The general drive behind green printing is the idea of saving trees. However, there are other essential details that are often overlooked when choosing a printing company. The other positive environmental changes that take place when printing green are denoted below. Each order’s environmental savings are measured and added to the client’s previous orders by Green Printer through the EcoCalculator. This calculations are done automatically and are readily available for clients to download for their own records. Corporate Social Responsibility: How Far Does Your Business Go? Corporate social responsibility (CSR) is a trending topic for many organizations. As mentioned in an earlier posts, most businesses practice some form of CSR activity. This has not only created a tighter gap for differentiation, but it has also made consumers question the transparency of companies’ claims. It is crucial for business owners to understand the different responsibilities that compose CSR and promote their activities accordingly to avoid misconceptions of their efforts. 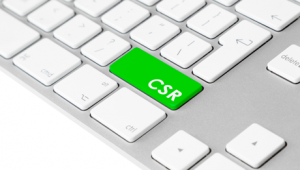 Mandatory responsibilities are the main reason for which CSR has gained popularity. These are responsibilities that companies must fulfill in order to survive as business entities. There are two specific responsibilities under this section: Economic and Legal. Prior to looking at the outside world, organizations must address their financial standings. Profitability should be top-of-mind for all businesses. Companies that are profitable create job opportunities for their communities. Aside from this, these businesses can invest in activities to participate in other responsibilities. This section of CSR pertains to legal acts companies must fulfill. Similarly to economic responsibilities, legal responsibilities are requirements for organizations to engage in business practices. Some legalities that businesses must enforce are security labour laws, environmental laws, criminal laws, and many others. In order to successfully execute this responsibility, organizations must be strongly aware of the laws that apply to them. Unlike the mandatory responsibilities, self-imposed responsibilities are undertaken by businesses due to the owners and/ or employees’ desires to have a positive impact within their environment. These responsibilities can be described as Ethical and Philanthropic. Ethical responsibilities pertain to the duty of following a morally correct path. This is not an obligation for organizations but rather a self-imposed mandate. Some activities that fall under this umbrella are practicing honesty with all stakeholders, being respectful to customers, and ensuring that all promises made are fulfilled. The philanthropic responsibilities are those responsibilities taken on by companies that want to go above and beyond their call of duty. This section is highly denoted by organizations’ charitable actions such as service or monetary donations for specific community events and the implementation of processes to engage in environmentally friendly business practices. These are the responsibilities that truly differentiate businesses amongst their competitors while building a strong rapport with consumers. Is the oft-used term “sustainability” now just an empty buzz word? The Guardian seems to think so. Or at least one of the contributors to the site’s Green Blog does. Blog writer Doug King argues that because companies now use the idea of sustainability as “just another tick-box” to show they are no worse than any of their competitors, the term has lost its efficacy. “As with many aspects of business, the innovators and early adopters have a clear understanding of what they are doing and why. However, by the time that new practice features in business handbooks, it has become a fad that must be followed in order to maintain market share,” he says. And because the term is so closely associated with the trendy concept of corporate social responsibility (CSR), the word is not only ineffective but actually doing harm to the cause. In King’s mind, the idea of CSR was that companies considered their actions, what sort of impact they would have on the world around them and made decisions based on that analysis. But because CSR has become a fad, companies aren’t truly concerned about creating a positive impact—instead, their goal is to meet just another minimum set of requirements to keep them competitive. And while that’s a decent point, does intention matter all that much as long as some progress is being made?